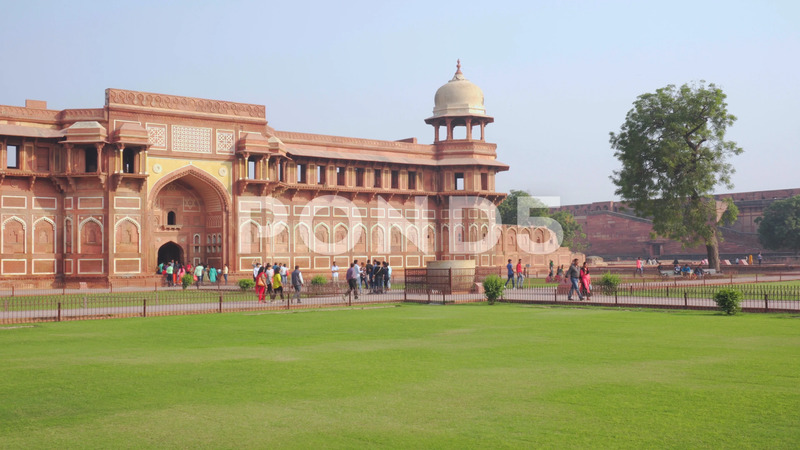 Description: Agra, India - 9 November, 2018: View of the Jahangiri Mahal in the Agra Fort on blue sky background. Red sandstone palace. Mughal architecture. The fort is a popular tourist attraction of South Asia.